Product may smell and foam for a short period. 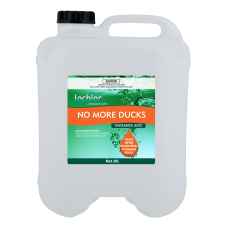 Lo-Chlor No More Ducks contains a proven agent, Alkyl Dimethyl Benzyl Ammonium Chloride. Not only is it a good duck repellent but it is also a very effective anti-algae treatment.